The research project “Designing for Controversies in Responsible Smart Cities” aims to explore how controversies around the smart city can be made visible and debatable, as a way to garner broader engagement, agency and support. 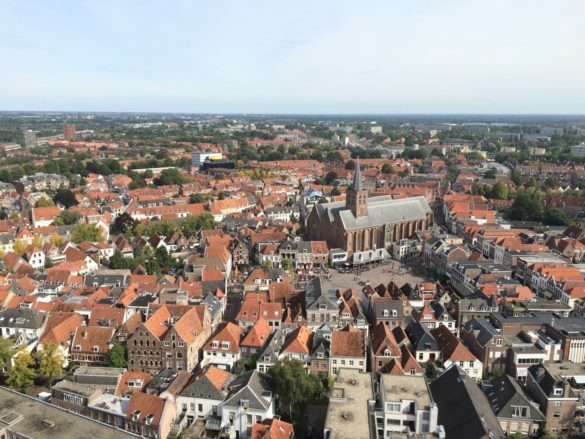 The project takes place in the mid-sized and centrally located municipality of Amersfoort, which is building a new Internet of Things infrastructure. A consortium of public and private partners will develop a government+citizen+academic+industry collaboration (a so-called ’quadruple helix’) that allows a wide range of stakeholders to become involved in shaping their urban future. In a series of co-design sessions a number of ethical, juridical, and social controversies are made visible and debatable, as a way to garner broader engagement, agency and support. The project is funded through a NWO grant, as part of the program Smart Culture – Creative Cities. Project lead: Mascha van der Voort. Co-leads: Peter-Paul Verbeek & Michiel de Lange.